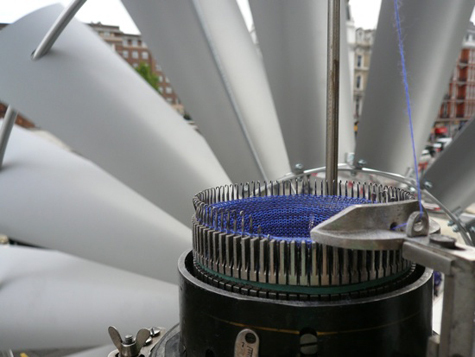 "With the power of the wind, a knitting machine knits from the outside towards the inside of a building. 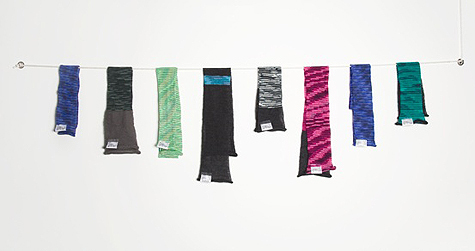 The knitted material is harvested from time to time and rounded-off in individually packaged scarves. Each scarf has its own label which tells you in how much time it has been knitted and on which date."